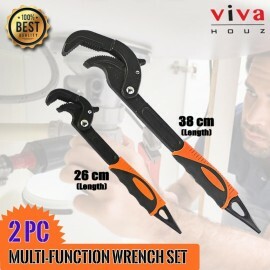 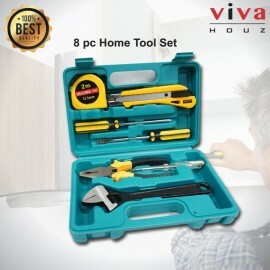 Viva Houz, 8pc Tool Set/Kit For Home Repair, Vehicle Repair for your DIY needs and more the tool set is toughen steel for durability. 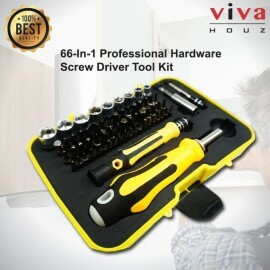 ..
Are you looking for a practical and reliable screwdriver for use? 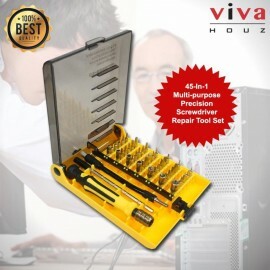 We highly recommend you this 45-In-1 Multi-purpose Precision Magnetic Hand Screwdriver Repair Tool Set, which is economical and attrac..
Viva Houz 2pc Multi-Function/Universal Wrench Set (10.5 "œ + 15"), a must have hand tool set for repairing taps, values and others, the self-adjusting tools are suitable for tightening or loosen all ..
Viva Houz 66-In-1 Professional Screw Driver/Tool Set, is a professional hardware tools for precise works on maintaining computer, laptop, mobile phone, television, watches and other appliances. 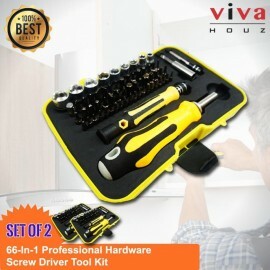 The 60..